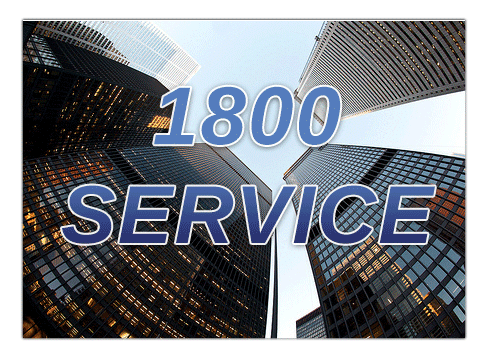 You don’t have to be a big business with a big budget to get 1800 number service. In the past, only large phone companies provided 1-800 number service to other large companies. But all that changed when telecom monopolies were broken up and the FCC transformed how toll free numbers were regulated. Toll free number service affordable option for businesses of all sizes. In fact, with a virutal phone system from UniTel Voice, you can get a 1800 number that forwards calls to your cell phone for just a few bucks a month. You don’t need to invest in phone system equipment or sign a long-term contract. UniTel Voice has a large list of 1800 numbers to choose from and several affordable 1800 service plan options. Toll free numbers are still the go-to business numbers of established companies because using a phone number with a toll free area code (800, 888, 877, 866, 855, 844 and 833) allows your company to have a nationwide presence. And because of this wide usage there is a perception of trust and credibility associated with a business using a toll free number. With cloud-based phone services like UniTel Voice, you now can get a toll free number that forwards to your cell phone, home phone, or smartphone app. You don’t need to set up complicated phone system equipment or sign a long-term business phone service contract. Plans start at as little as $10 per month. Toll free numbers are still very much in demand and vanity 800 numbers (toll free numbers that spell a word or phrase) are getting harder and harder to find because so many businesses are using them. Because of the shortage of 1-800 numbers the FCC continues to release new toll free number prefixes including 888, 877, 866, 855, 844, and soon to be released 833. The newer the toll free number the more vanity options are available. Editor’s Note: The article is brought to you by the marketing team at UniTel Voice, the virtual phone system priced and designed for startups and small business owners.